Of all your home theater components, one stands out more than any other: your screen. While you may want your speakers and projectors hidden from view, your screen will be the room's focal point. 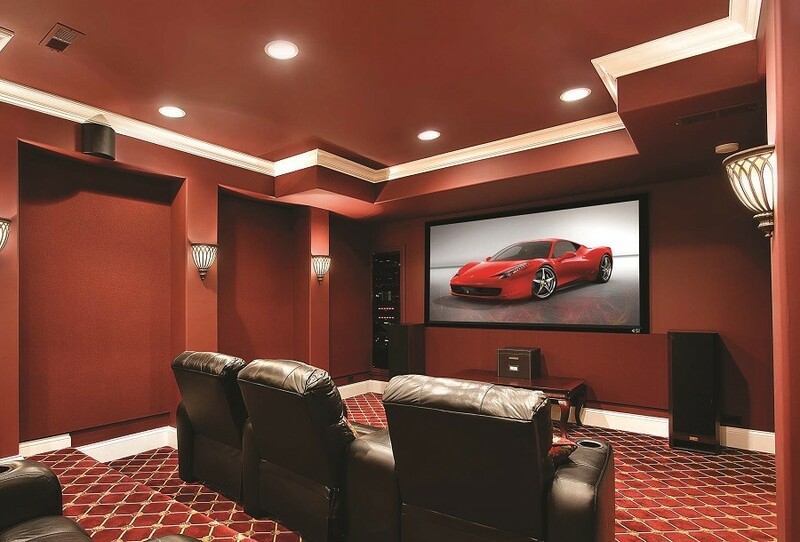 As a Screen Innovations authorized dealer, ProFocus Home Entertainment can get you the exact screen you need for your home theater design, custom-built by Screen Innovations right here in Texas. Below we discuss certain issues that often come up during installation and the proper solutions for each. Take into account the length, width and height of your room. It's necessary to give your screen a little breathing room. There needs to space to the sides to fit your Klipsch speakers, and the screen should be raised a few feet off the ground to be at the right viewing height. The experts at ProFocus Home Entertainment can help you find the perfect size for your theater. Often overlooked when installing a screen is the length of the room, but this is just as important. Just like a television, the bigger the screen is, the further back you want to sit. In home theaters, you also need to take your seating into account. Make sure you have enough space to be at an appropriate viewing distance while still fitting all the seats you want. Profocus Home Entertainment can provide quality-leather seating from Octane Seating as part of your home theater installation. Screens are also a vital part of a home theater design in a multi-purpose room. There are a few features that let you add versatility without sacrificing quality. For one, you can invest in retractable screens. If you want your theater also to serve as a game room, have the screen disappear when it’s not in use. You can also have a theater with multiple screens. Use a screen for watching movies then have it retract to reveal a television underneath for watching sports. You can also use masking to adjust your screen to whatever you’re viewing. Different content –TV shows, games, sports, movies –may have different aspect ratios. In the past, this meant being stuck with awkward empty space on your screen or black lines on your television. What masking does is create a black frame around your content to make it look natural, no matter its aspect ratio. This way you can use your theater for various activities without needing multiple screens. If you can eliminate most of the ambient lighting in the room, a traditional white screen is still the best option. But we recognize there are situations where this is not possible. That doesn’t mean you can’t use a screen and projector combination. Screen Innovations offers gray or black options designed to deflect light that isn’t coming directly towards them. You can also pair these screens up with brighter projectors that help you get dynamic images even in well-lit rooms. Make sure your screen stands out in your home theater design. Contact Profocus Home Entertainment for a consultation!